These are my favourite US based survey sites that are Free, established, have good reputations and pay you well to complete surveys and other activities. Make Sure To Verify Your Email Address - In order to get surveys invites sent to you, most sites will require you to verify your email address. Once you sign up they will send you a email, once verified they can then send start sending opportunities to you. Swagbucks is my most recommended survey site as they offer lots of ways to make money, you can make money by completing surveys, watching videos, playing/downloading games and more. There's not anything to not like about this one. For every task you do you will receive SB that can be used to redeem rewards from there catalogue. MyPoints is a well known US panel that has been paying out members ever since 2004. They pay you to complete surveys, search the web, printing off coupons and even shopping at your favourite stores, so there are plenty of ways to choose from to start earning rewards. Vindale Research is another established market research panel that is looking for opinions on different topics, products and services. In return Vindale Research will pay your for your effort and time. What I like about this site is the surveys pay well and they also update them on a daily basis so you won't run out of things to do. Surveys pay anything from $1-$50 a survey and once you reach $50 they will send you a payout straight to your PayPal. Inbox Dollars is a US 'Get Paid To' site that pays you to complete surveys, read emails, play games, watch videos, search the web and more. The concept is simple and it is another site that is easy to make money with. If there is one thing that is worth noting is the threshold is $30 so you will need to reach that to get paid. However they do offer many opportunities to help you reach that as well as the additional $5 you get when you first sign to them. MySurvey USA is a survey site that as different versions of the panel for various countries such as the USA and the UK. They are another established survey site well known for being easy to use and offering ways for you to make extra cash completing surveys. Having many members active and earning MySurvey shed out over $32+ million dollars in rewards every year and for that and other reasons MySurvey goes onto my recommendation list. Harris Poll Online is another established survey panel that is looking for people to complete there surveys. The company behind the panel has been in existence for over 45 years and are known for paying out on time. For every survey you complete you will recieve points that can be used to redeem rewards from there catalogue of rewards. 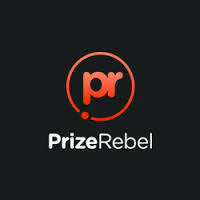 PrizeRebel is another reward site with a number of ways for you to make money online. They support most countries but a lot like most of the survey panels I review, they offer the most to US residents. Being a UK resident I still enjoy using them as there are plenty of surveys to complete.